The new issue of Prim Perfect is here – and packed with season goodies for you to enjoy! But don’t worry! 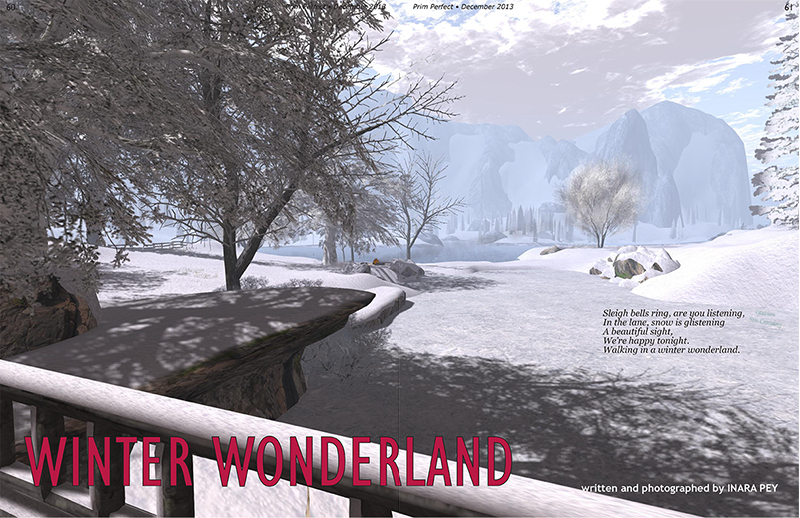 Because just a few clicks away in Second Life, you can enter the winter wonderland of your dreams, with snow piled thick and deep and blazing fires in welcoming homes – a time to sparkle at parties, making sure you’re as bright and dazzling as any Christmas tree ornament. 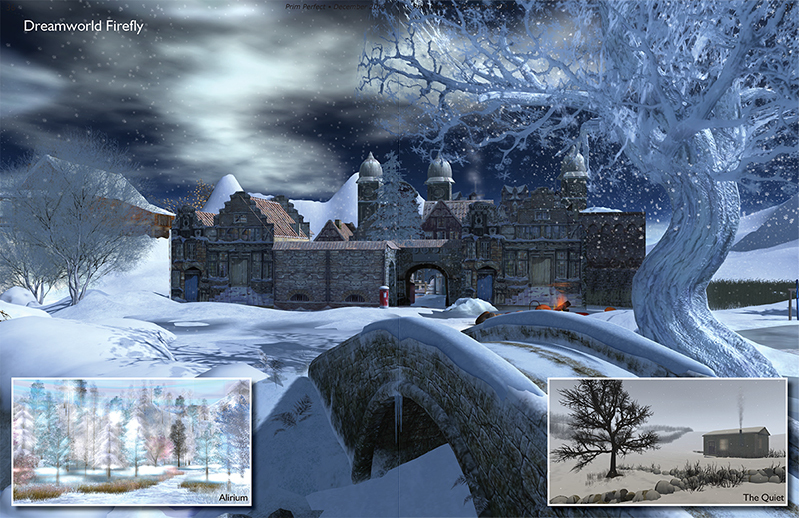 And so, for Christmas, our writers and photographers have set out across the grid to explore some of the most beautiful winter regions they could find – with Inara Pey exploring the Calas Galadhon Park Estate and Honour McMillan finding eleven special places for Christmas, while PJ Trenton (no fan of real life winter!) 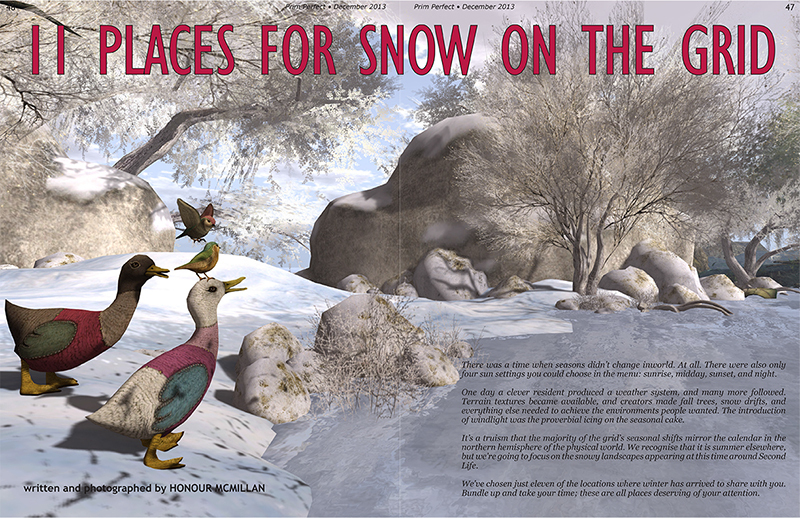 has produced the most gorgeous photo essay on the snowy sims of Second Life. We also have something very special for you: a clutch of Christmas stories by Prim Perfect writers Qwis Greenwood, Ceejay Writer, Honour McMillan, Eva Bellambi, Ethan Westland, and Jedburgh Dagger! There’s information on stores with a strong seasonal element from Qwis Greenwood, and advice on having a safe Christmas from Heavenly Villa. Honour McMillan has a feature on our wonderful Designer of the Month, Jenne Dibou, and an account of how she decorated Jenne’s latest beautiful home – the Watermill House. If you’re looking to do something more than simply explore over Christmas, Rosamoo Mendelsohn has a roundup of all the available hunts. We have an account of the Relay for Life event in Inworldz, as well as of a very special Christmas charity – Eliza Wierwight’s campaign to sponsor elephants and support the Save the Elephant Foundation. There’s exciting news from our TV shows Designing Worlds and Happy Hunting!, available on Treet TV. Our team of talented photographers, led by PJ Trenton, Winona Wiefel, Wildstar Beaumont, and Honour McMillan, bring you some of the most artistic eye candy from across the metaverse. So what can we say but… we wish you the compliments of the season – and the happiest of New Years! 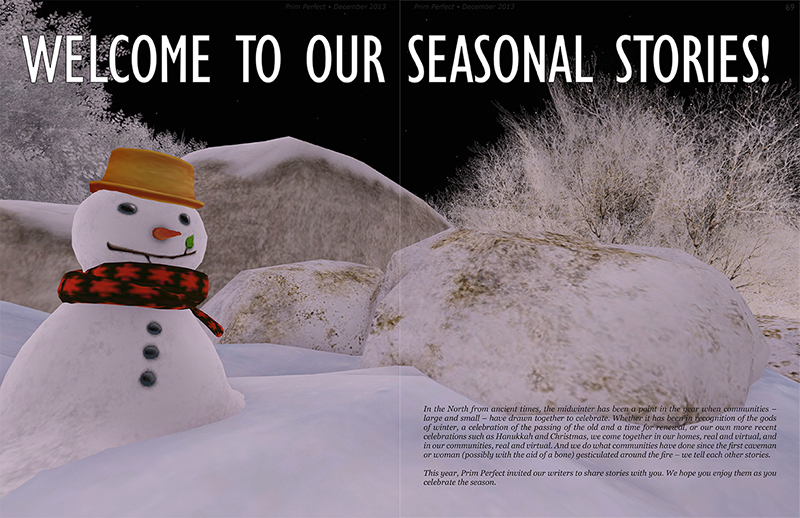 Prim Perfect Issue No.50 – December 2013: Our writers have a wealth of seasonal stories to share! If you prefer to read the magazine online but not inworld, there are choices. Firstly, there’s the wonderful Calaméo system, which allows you to moves smoothly through the pages, giving you the feeling of reading a real magazine. You’ll find Issue 50 here – and please do leave a comment! 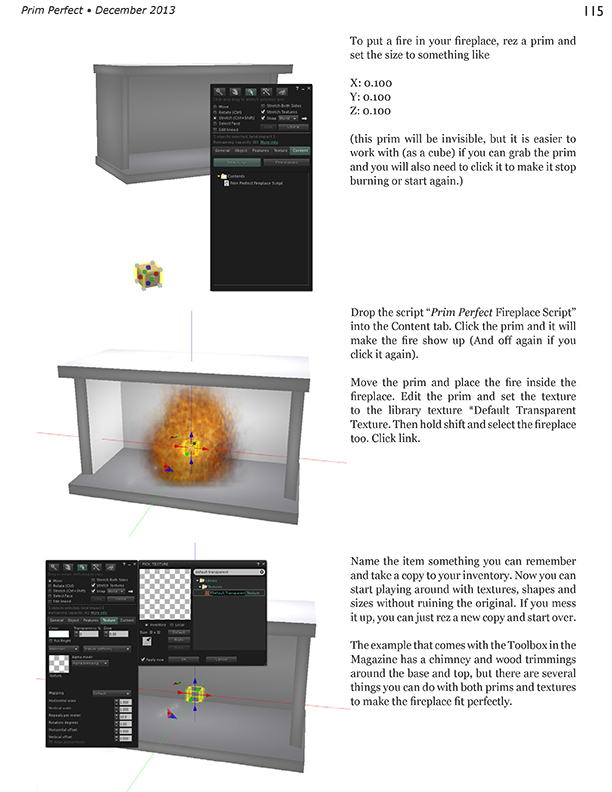 Prim Perfect Issue No.50 – December 2013: Winona Wiefel explains how to build a fireplace! Previous Post: More Blackened Mirror with the release today of Episode 3 – Catching Up! 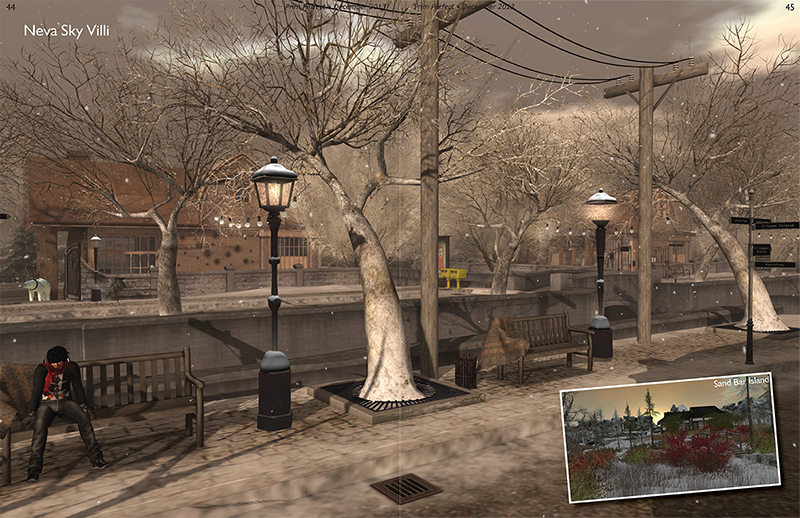 Next Post: Are you missing out on important Second Life news and communications?